Any time you’re looking to buy preowned vehicles, you want to go to a dealership that you can trust. When you’re searching for Used Trucks in Auburn, come to S&S Best Auto Sales. We work hard to provide our customers with the service that you need. Our inventory is always full of the best quality used trucks. Once you start browsing through what we have to offer, you’ll definitely notice that we work hard to choose the best vehicles. You’ll never find any vehicles in our inventory that aren’t in top shape. Buying Used Trucks in Auburn can be a little intimidating, especially if you don’t know which dealer to work with. Choosing S&S Best Auto Sales as your trusted preowned truck dealer will save you a lot of stress. No matter what you’re looking for, we’re sure to have something in our inventory that suits all of your needs. Are you in need of a heavy-duty work truck that can handle towing heavy weights? Are you looking for a truck that has off-road capabilities? Maybe you’re just searching for a truck that’s great for everyday use. Don’t hesitate to start looking through our inventory today, either by visiting our dealership or going to our online inventory. One important thing to note about our inventory at S&S Best Auto Sales is that our inventory is constantly changing. We like to keep our selection fresh so that customers always have new options to choose from. So, when you find a truck that you like, act fast. We’re also more than happy to have you come by and take it for a test drive. There are some examples of models that we can recommend, though. If you want a pickup truck that is more compact, we might suggest looking for a Toyota Tacoma model. This is one of our Used Trucks in Auburn that is extremely dependable. Known for its rugged style, comfortable interior, and powerful performance, the Toyota Tacoma has a lot to offer. There are also plenty of configurations available, so it won’t be hard to find something that best suits your wants and needs. 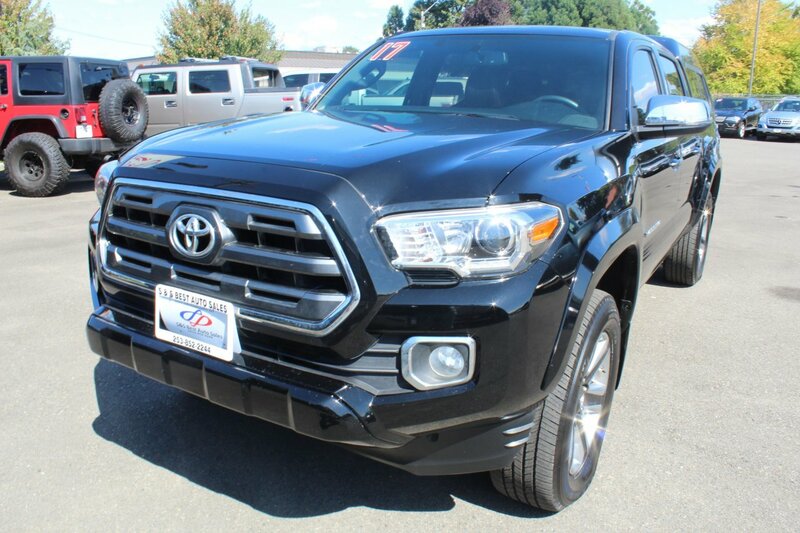 Look through our inventory to check if we currently have any Toyota Tacoma models available. Working with S&S Best Auto Sales to provide you with quality Used Trucks in Auburn is one of the best decisions you could make for yourself. It’s important to work with a dealership that you know you can trust. Come check us out today at 2712 Auburn Way N. in Auburn, WA. Feel free to give us a call at 253-785-9382 for more information. We look forward to working with you.